Click on the filter arrow and change your view to "Received" faxes or "All" faxes. Your received faxes will be displayed in chronological order. To view the fax, either double-click on the fax line or single click and then select View Fax. The fax will be opened in the viewer. From the viewer, you can Zoom In, Zoom Out, Fit to Page, Print, Download to PDF, and Rotate. 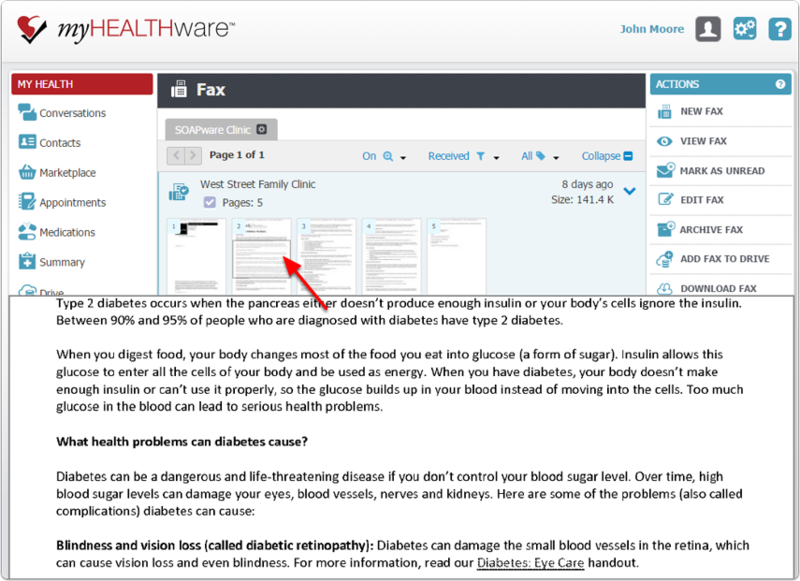 To see a quick preview of a fax page, hover your mouse over the page. 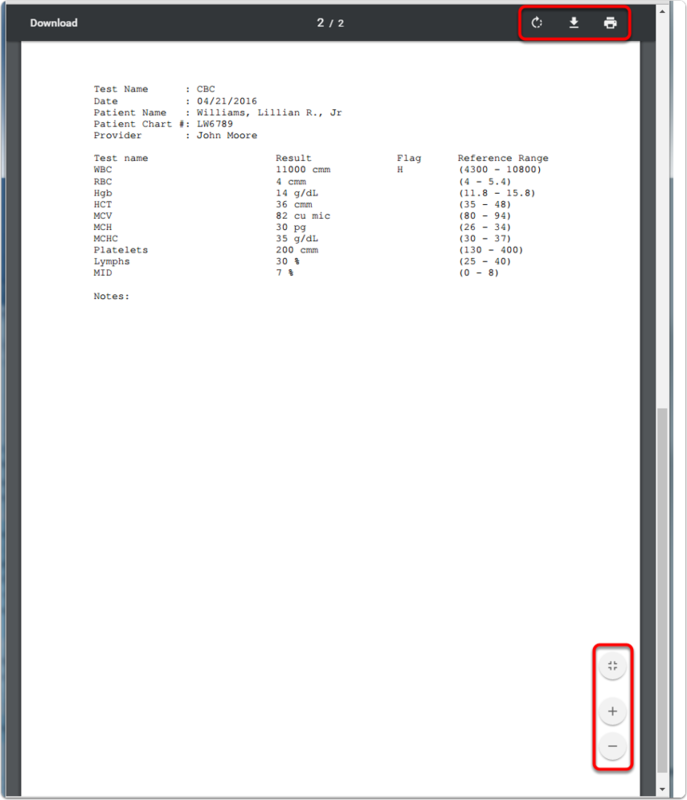 Move your mouse up and down over the fax page to preview the document. 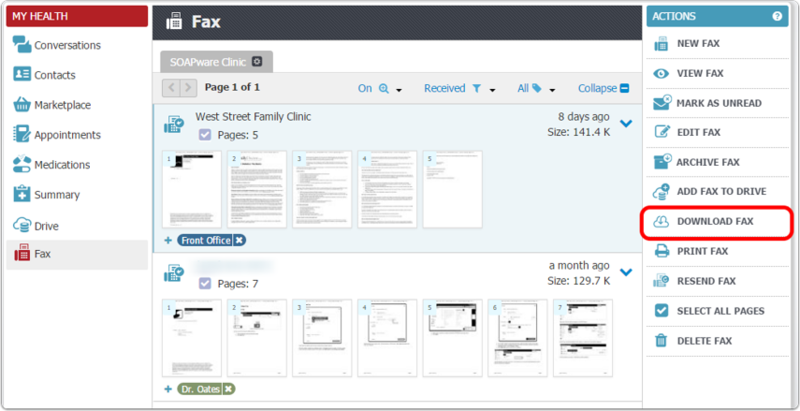 To add a fax to the patient chart, click Download Fax (or Download Pages if pages are selected). Follow the instructions in the following link to import to the chart: Attaching a Fax to a Patient Chart.